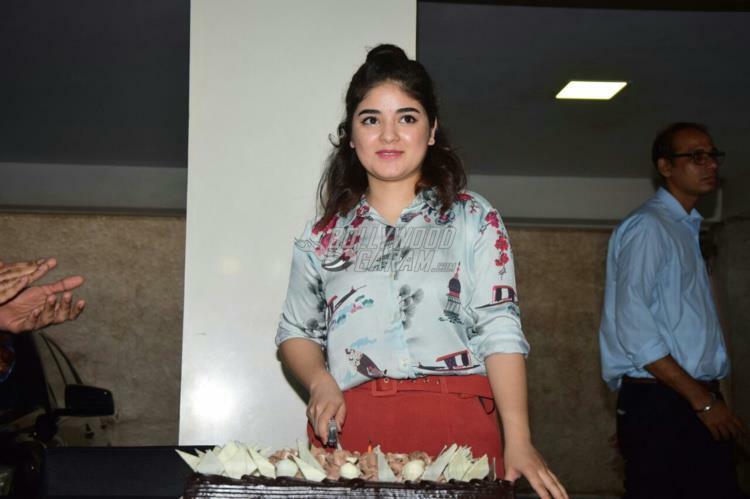 Zaira Wasim is a newbie in Bollywood, and has already created a niche in the tinsel town unlike some star kids who are still gearing up to enter the industry. 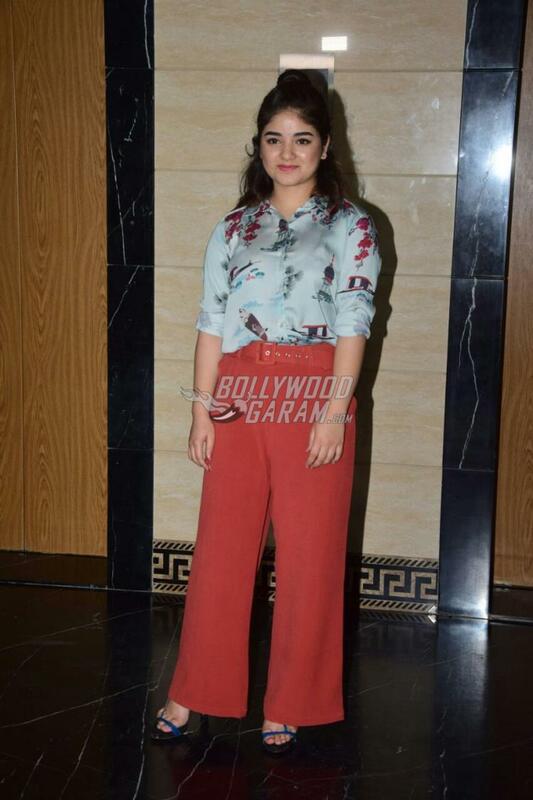 After making a mark in Dangal, the actress has once again proved her skill in acting with the film Secret Superstar. 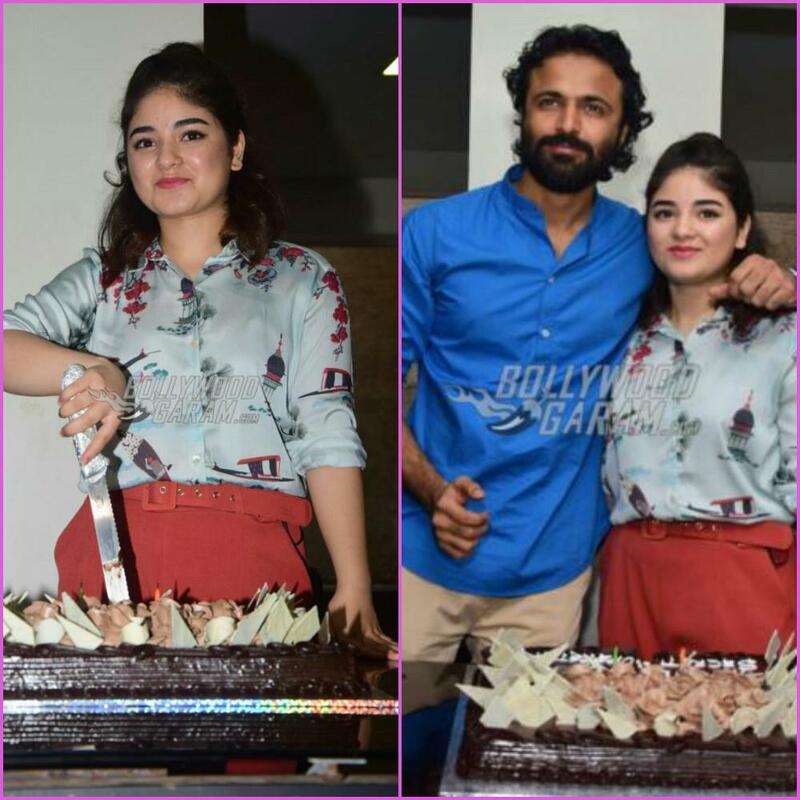 The actress celebrated her 17th birthday and cut her birthday cake in front of the media along with the director of Secret Superstar, Advait Chandan on October 23, 2017. 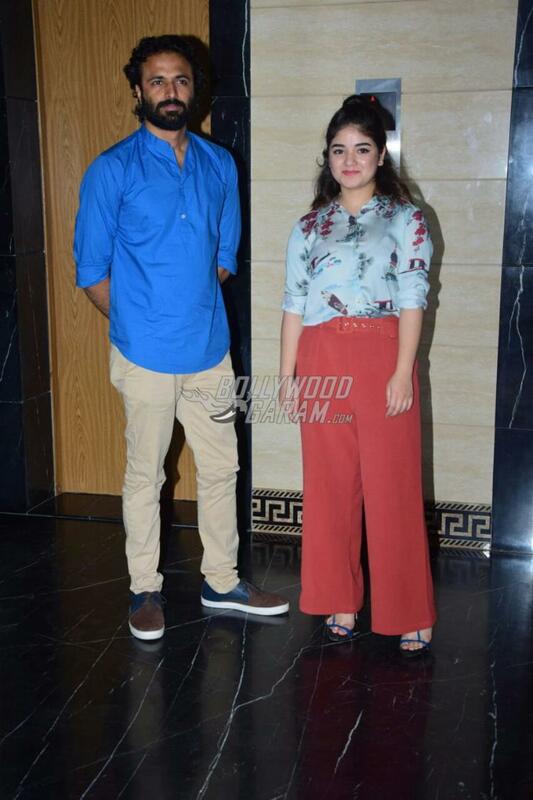 Wasim looked pretty in a grey printed shirt and red high-waist pants and posed with the director for the cameras. 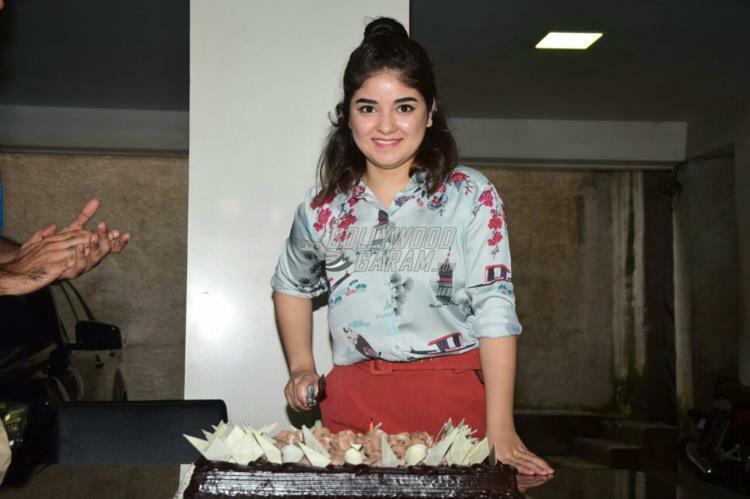 Zaira has won the national award for her performance in Dangal, which also starred Aamir Khan. 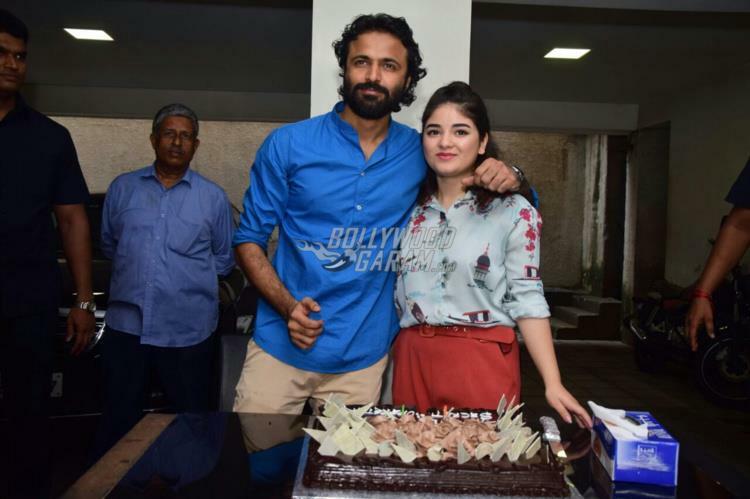 The actress has once again managed to win hearts with the film Secret Superstar in which she plays the role of Insia, a teenager who wishes to become a singing superstar. The film also stars Aamir Khan, who is seen playing the role of a music composer. Secret Superstar released in theatres on October 19, 2017. 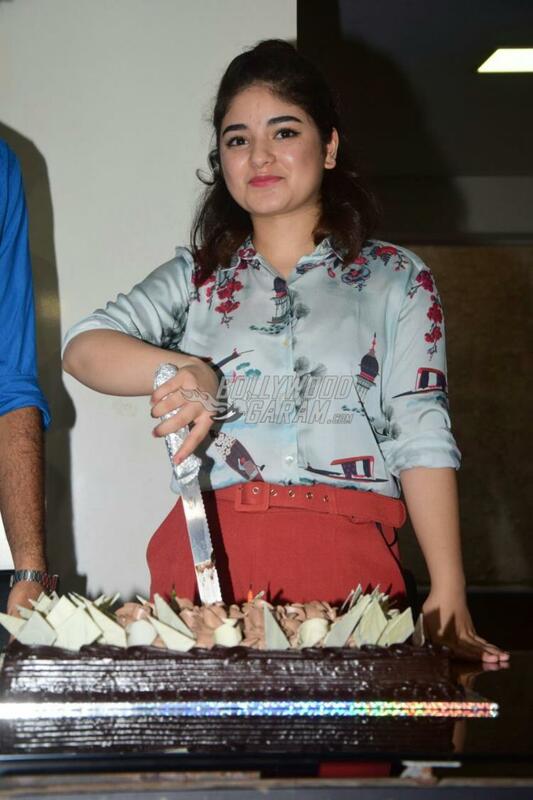 Exclusive photos of Zaira Wasim cutting her birthday cake!